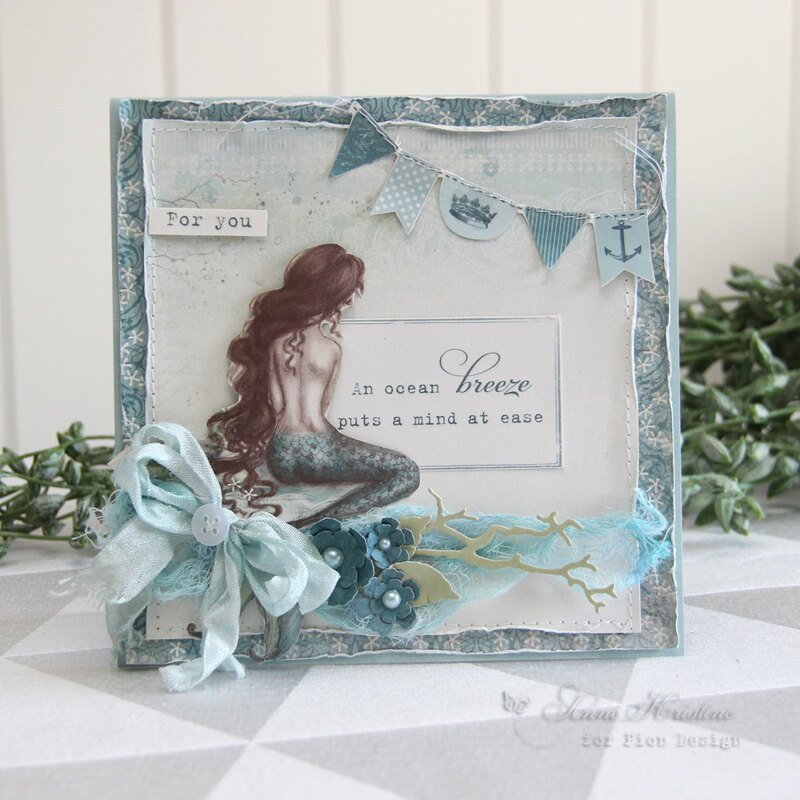 Here is a card made from the beautiful new collection Legends of the Sea. 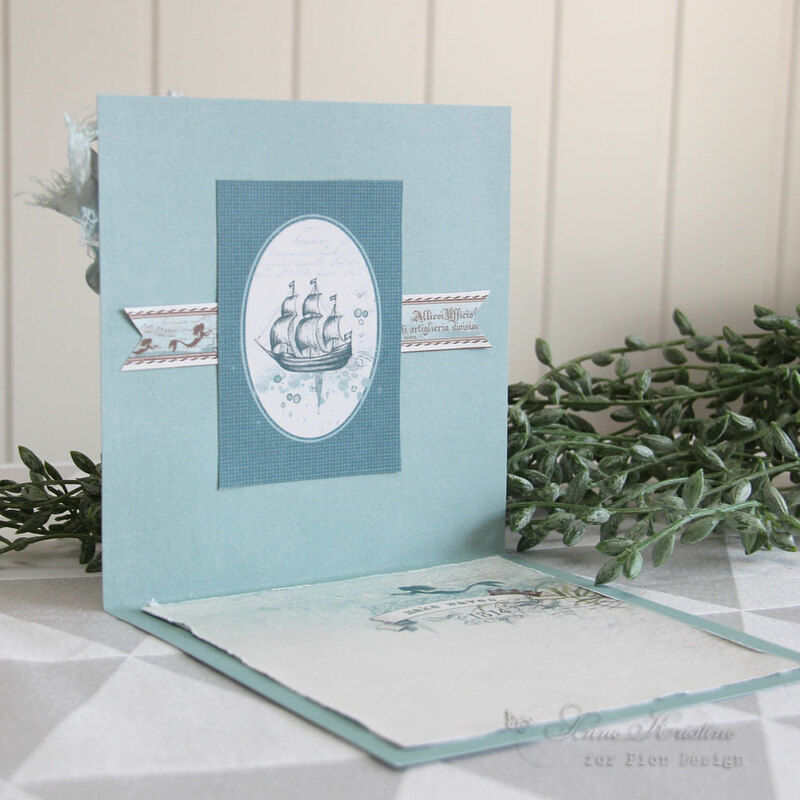 The papers are full of amazing details, images and colors that suit so many different occasions. Hi Anne Kristine lovely card inside and out !